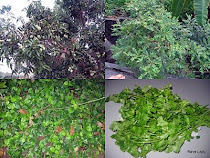 Wash and cut the pavakai into small pieces. Cook it with water and turmeric powder.. Grind the coconut and pepper into fine paste. Cook the moong dhal and keep. When the pavakai is cooked add the moong dhal,salt, ground paste and mix well. Let it boil. Heat a a pan with oil add mustard , urad dhal coconut and curry leaves. When it crackles add to the koottu. Very tasty and serve as side dish. Grind the oats into a fine powder. Chop the chili and cilantro into fine. Mix both powder, salt, chili and cilantro. Make a soft dough adding water. Take each ball, roll it into round shape with a rolling pin. Heat a pan, place the chapathi in a medium heat and brush with oil. When that side is cooked turn the other side and cook. 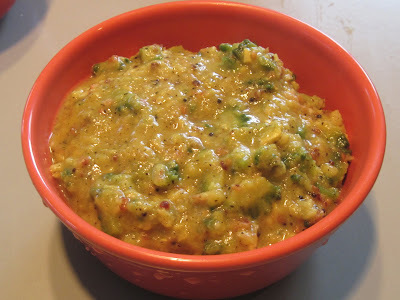 Serve hot with bhaji or raita.. Boil pineapple, with turmeric and salt in 1/2cup water. Grind coconut with dried 2 chilies to a fine paste. Heat a pan with oil with mustard seeds red chilies (broken and curry leaves. When it splutters add pineapple pieces and coconut paste. The gravy should be thick and cover for 3 minutes in a low flame. This is a sweet side dish. 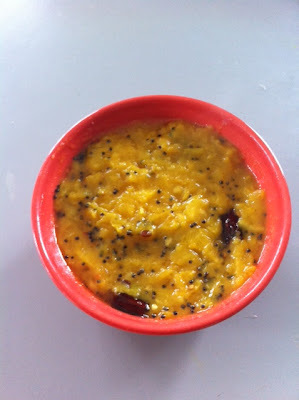 Soak the moong dhal ( the payaru)for about five hours and cook it. .. Remove the skin of the chena thandu and cut into small pieces.grind coconut, cumin seeds and green chili coarsely. Heat pan with oil add mustard seeds, urad dhal and one red chili.. When the mustard splutters add the chena pieces, turmeric, salt and payaru. Cook in medium flame.If needed add little water.